Voted “Atlanta’s Most Preferred Hospital for All Health Care Needs” for 15 consecutive years, Northside offers a full range of services and has become an ambassador of women’s health issues. More babies are delivered, more surgeries are performed, and more cases of breast and gynecological cancer are diagnosed at Northside than at any other community hospital in Georgia. Northside Hospital is committed to balancing clinical excellence with compassionate care. We thank Northside for their generous contributions to our millitary! We are proud to be partnered with "America's Team", the Atlanta Braves, one of the most successful franchises in baseball history. The Braves have won 16 divisional titles, 17 National League pennants, and three World Series Championships! In 2013, the Braves won the East for it's 18th Division Title. The Braves also recently announced they would be building a new stadium in Cobb County scheduled to be completed in 2017. In addition to their success on the field, the Atlanta Braves have given millions of dollars to charities within the community. 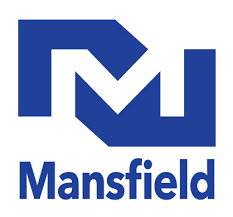 For 60 years Mansfield has been creatively solving commercial, industrial, and municipal customers' most demanding energy procurement, supply, and logistics challenges. Today, the company provides energy commodities and related services to 6,000 customers in 18,000 locations across the U.S. and Canada. The company's expertise covers a broad range of transportation and facilities energy from traditional petroleum products, CNG, renewable fuels, and specialty chemicals to power and natural gas. 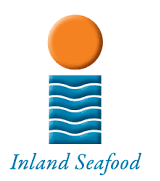 Established in 1977, Atlanta, Georgia-based Inland Seafood was founded on the simple philosophy of supplying our customers with the best quality seafood available with the best service in the industry. Today, we are the largest full-line processor and distributor of more than 2,000 fresh, frozen, smoked and specialty seafood items in the Southeast. Inland also offers a full-line of non-aquatic gourmet specialty foods including a full line of antibiotic-free, hormone-free meats, game and poultry as well as cheeses, olives, oils and so much more through Inland Specialty Foods. We supply over 5,500 restaurants and 2500 retail outlets. We have a complete processing plant on-site, including butchering, packing, frozen storage, lobster tanks, cooking facilities, test kitchens and more. America's beer distributors provide transportation, refrigerated storage and maintenance for beer, a perishable product, from the time it leaves the brewery or importer until it arrives at a retailer such as your neighborhood bar, restaurant, convenience, grocery or package store. Eagle Rock Distributing works within an effective state-based system of alcohol regulation. We are licensed by the county, state and federal government. We source beer only from licensed brewers or importers, and we sell only to licensed retailers. 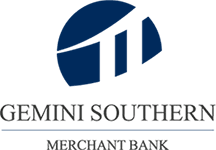 Gemini Southern's primary goal is to build a progressive financial institution based on traditional business values that provides advisory services and capital to entrepreneurs and companies throughout North America, with a specific focus in the southern United States. We believe a substantive bond exists between people who create and operate businesses, and investor's that provide capital to high caliber growth companies and new ideas. We are committed to engaging with those business owners and entrepreneurs that seek out like-minded investment partners interested in developing businesses and business ideas that are unique to their respective industries, and ultimately to consumers and the capital markets. Hennessy Ford Lincoln Atlanta, also serving all surrounding areas, is proud to be an automotive leader in our community. Since opening our doors, Hennessy Ford Lincoln has maintained our solid commitment to our customers, offering a wide selection of cars and trucks and ease of purchase. Whether you are in the market to purchase a new or pre-owned vehicle, if you need financing options, we'll help you find a car loan that works for you!Even if you have bad credit, or are a first time car buyer, you can trust that Hennessy Ford Lincoln will professionally fit you into the vehicle of your choice.